I recommend you to use ICT product of www.toondoo.com on your English language classes. This ICT product can be used instead of flashcards. 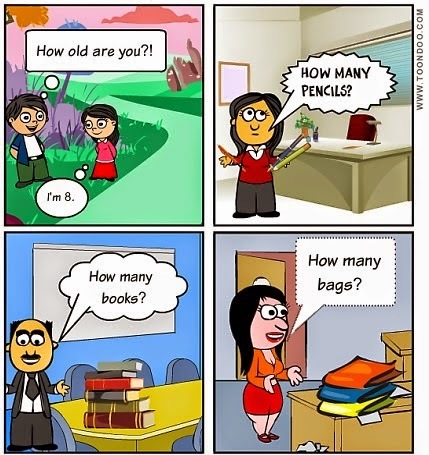 New vocabulary (pencil, bag and book) and new structures (How old are you? How many ...?) can be easy understood with the help of this ICT product. It should be used in the introducing of new materials. There are 4 pictures related to theme in the ICT product. Teacher shows this ICT product to pupils and they read it and repeat for several times. After this activity pupils will memorize given structures and words because they will associate new materials with this ICT product. Then pupils in pair may do their own dialogues as it was given in the ICT product.